Dr. Mark Goldberg specializes in the diagnosis and treatment of problems associated with the tooth pulp, which is the soft tissue located inside the root canal. 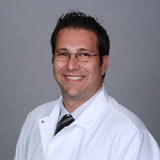 Dr. Goldberg performs simple and complex root canals to relieve pain and restore teeth. His advanced training enables him to treat difficult cases including abscessed teeth and teeth with narrow or blocked canals. Dr. Goldberg treats patients age 8 and older. 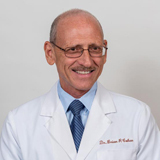 He earned his Doctor of Dental Surgery degree at the University of Missouri in Kansas City and received his Advanced Education in General Dentistry degree and advanced endodontic training at Nova Southeastern University in Fort Lauderdale, FL. He is a member of the American Association of Endodontists, the American Dental Association, and the Florida Dental Association. Dr. Nathalie Shoer is a board certified oral & maxillofacial surgeon who has been in practice since 2005. She earned her dental and undergraduate degrees at the Central University of Venezuela in Caracas. 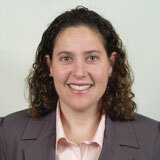 Dr. Shoer also completed a residency in Oral and Maxillofacial Surgery at the University of Puerto Rico in San Juan. Dr. Shoer has experience in many areas of dentistry and specializes in oral & maxillofacial surgery. She treats adults and children beginning at age 6.